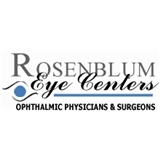 Rosenblum Eye Centers (New York) - Book Appointment Online! Our reputation has been earned as the result of the guiding philosophy of our founders that has been nurtured over 5 decades of patient care. We are proud to be pace-setters in the eye care profession. We are affiliated with the following hospitals: New York Eye & Ear Infirmary Mid Manhattan Surgi-Center Beth Israel Hospital Long Island College Hospital Today, the integrity and dedication of our physicians continue to provide the highest quality care available and to help each of our patients attain the best possible vision throughout life. DO NOT GO HERE. I was there for two and a half hours for an annual eye exam, and it was only 15 minutes of actual examination time. Literally everyone in the waiting room was complaining that this happens every time. The office clearly overbooks appointments and doesn’t care about making patients wait for an egregious amount of time.